Following his successful graduation from the University of Augsburg (Germany), Igor has been advising international commercial enterprises in Ukraine for over twelve years. He has managed a significant number of M&A transactions, guided numerous clients through the due diligence process, merger applications and the subsequent structuring of transactions, advised clients on labor, agriculture and renewable energy law matters as well as in relation to assertion and enforcement of creditors’ claims. Dmitriy advises international corporations on a wide range of labor, corporate, contract law issues. He can boast substantial experience in legal and tax consulting in complex cross-border transactions. Dmitriy‘s legal practice also covers representing clients before domestic commercial and administrative courts of all instances (including the Supreme Court of Ukraine), as well as in arbitration proceedings on all issues related to the commercial activity of clients in Ukraine. 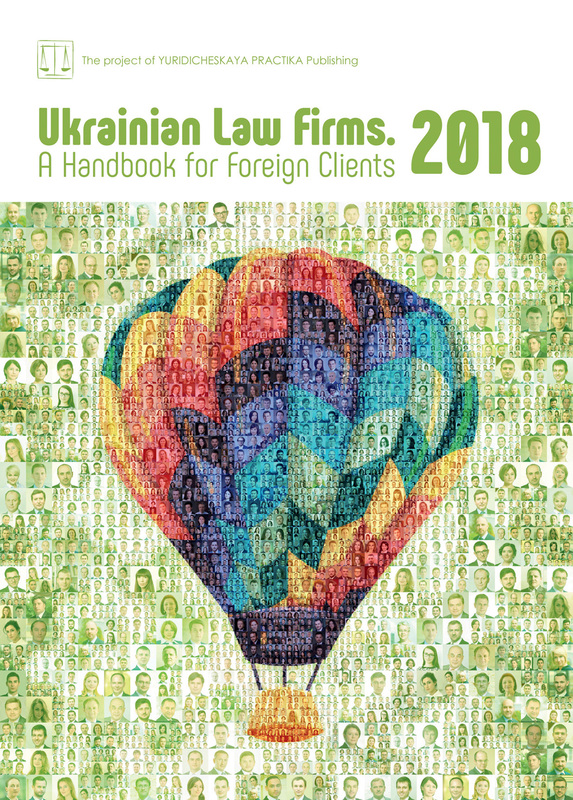 DLF attorneys-at-law is a Ukrainian law firm that provides consultancy services to mainly English and German speaking clients on various matters on doing business in Ukraine. We have vast expertise in corporate, M&A, insolvency, antitrust, labor, competition, IP, renewable energy law, advertising law, privatization, agriculture, real estate and tax law as well as in litigation and dispute resolution. Our core customers are SMEs from various fields. We offer them tailor-made and economically viable solutions. The firm is also a reliable business partner for a number of listed corporations and their subsidiaries in Ukraine. We represent our clients in a wide range of industries: IT, engineering, management consulting, agriculture, life sciences and healthcare, renewable energy, foodstuffs, pharmaceuticals and chemicals as well as home appliances. Our team is multilingual and led by two partners, Igor Dykunskyy, LL.M. and Andriy Navrotskiy, LL.M. Most of our lawyers graduated from Ukrainian law universities and successfully continued their studies abroad, particularly in England and Germany. Our specialists are held in high esteem in professional circles thanks to their expertise on the special features of doing business in Ukraine. Our attorneys understand not only the needs of our clients, but also their business philosophy and the specific needs of their respective business models. Legal and tax advice is a business relationship built on trust and this is a significant advantage for our clients. We have a close working relationship with various business associations in Ukraine and regularly publish our articles in local and international legal and business journals. In addition, we come recommended by a number of foreign embassies in Ukraine. The alternative energy sector in Ukraine remains one of the most rapidly growing and attractive industries for investment. This is largely explained by the advantageous geographical conditions in Ukraine, as well as gradual increase of price for communal services and favourable legal framework, which with the support of international organizations is becoming more investor friendly. The positive trend in this area has been reinforced within the last two years and will continue in 2018. Some substantial increases in the number of commissioned renewable energy projects have been observed in the last two years and in the 1st quarter of 2018. In 2017, the total installed renewable energy capacity grew by nearly a quarter, reaching almost 1,375 MW. Around 90 projects (total capacity of around 260 MW), mainly in relation to solar, wind and biogas energy, were completed in 2017. Many of these projects are carried out by foreign investors. Plans to construct high capacity solar power stations in the Chornobyl exclusion zone, presenting a great opportunity for foreign investors as well, are currently being implemented. The first 1 MW power plant has already been commissioned. Additionally, the State Agency for Energy Efficiency and Energy Saving of Ukraine, the body largely responsible for implementation of energy efficiency policies, including in the area of renewable energy, assures potential investors that Ukraine has all the technical means and resources to move from traditional fuels to alternative energy sources. The Agency forecasts the same growth rate in the number of alternative energy objects through 2018 and 2019, since many investors will be willing to construct and deploy their projects by the end of 2019, when the “green” tariff starts to gradually decrease. Ukraine has for many years been making efforts to financially stimulate the generation of electricity from alternative sources of energy. Such stimulation resulted in legislative provision for feed-in tariff, i.e., the guaranteed obligation of the state to purchase generated ’green’ energy from producers of alternative energy. The feed-in tariff is fixed in Euros until 2030 and is paid in the national currency. The National Commission for State Energy and Public Utilities Regulation converts the feed-in tariff into the national currency on a quarterly basis on the basis of the average official currency rate of the National Bank of Ukraine for the last 30 days. All generated electricity, except for volumes for personal needs, will be paid for under the feed-in tariff (except for blast furnace and coke gas, and for hydro plants with a capacity of up to 10 MW). It is the obligation of the wholesale electricity market of Ukraine to purchase “green” energy produced under the feed-in tariff and make full payment for the cost of electricity, regardless of the installed capacity or supply volume. The amount of the feed-in tariff depends on the date of commissioning of the electricity generation object, including phases of construction of the electricity station, which produces electricity from alternative energy sources. The use of equipment of Ukrainian origin by investors is stimulated by the relevant premium to the feed-in tariff (throughout the entire term of its validity), if the electricity objects are commissioned by 31 December 2024. Therefore, if equipment of Ukrainian origin is used to at least the level of 30%, the premium to the feed-in tariff shall be 5%. If equipment of Ukrainian origin is used to at least the level of 50%, the premium to the feed-in tariff shall be 10%. The level of use of equipment of Ukrainian origin at power plants generating electricity from alternative energy sources is defined as the sum of respective percentages of specific items of equipment. The Law of Ukraine On Electricity provides an exhaustive list of equipment for each type of alternative energy source that qualifies for the feed-in tariff premium. The Ukrainian origin of equipment shall be confirmed by the appropriate certificate issued by the Ukrainian Chamber of Commerce. However, it’s worth noting that such premium to the feed-in tariff does not apply to the electricity objects of private households. According to the State Agency for Energy Efficiency and Energy Saving of Ukraine, the increase in solar panels installed by households is the latest trend in the alternative energy sector of Ukraine. Within the last two years, the number of commissioned private household solar facilities has grown more than 12-fold. As of the beginning of 2018, over 3,000 Ukrainian families had installed solar stations on their roofs. One of the key incentives fostering the trend is that Ukrainian banks readily finance such projects. Pursuant to the Law of Ukraine On Electricity, private households are entitled to set up electricity generating facilities with a capacity of up to 30 kW and sell electricity produced from solar or wind energy under the feed-in tariff to an electricity distribution company in the amount that exceeds monthly consumption of electricity by such private households. Based on the information above, it is clear that potential investors could benefit considerably from investing in Ukraine’s alternative energy sector. The industry is growing steadily, the legislative framework is stable and settled until 2030 and some additional perks are available (such as premium to the feed-in tariff). Notably, due to the system of feed-in tariff calculation, the sooner that an investment is made and a power generation object commissioned, the bigger the share of profit that can be received.